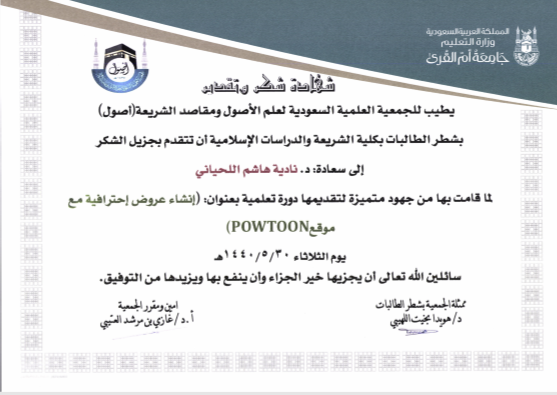 On Tuesday, 30 Jumada Al-Awwal, 1440 A.H., the Saudi Scientific Society for the Principles of Jurisprudence and Shari`ah Objectives (Osol), affiliated to the College of Shari`ah and Islamic Studies, organized an academic course for female students entitled “Creating Professional Presentations with PowToon” at Khuqair Hall. 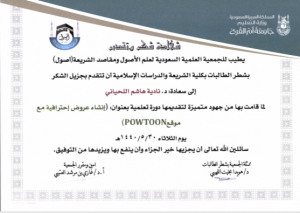 The course was organized in cooperation with the students at the Department of Shari`ah. 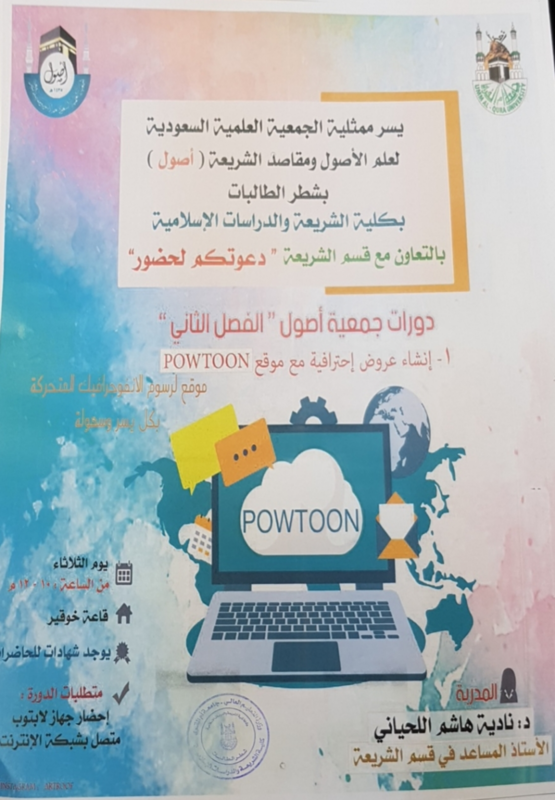 The presenter asserted that the course aims to teach the students how to make animated infographics, and illustrate the way to create great educational presentations that capture the students’ attention and encourage them to become engrossed in the knowledge of the academic curriculum and beyond. In the course, the presenter delineated the apt ways to present wonderful videos that motivate students to learn more about the subject being presented, and explained the way to post online educational videos. She highlighted that the course even qualifies talented students to profit from making presentations, and helps keep students busy with useful activities that nurture their academic life and hone their skills. The course was attended by a group of female Bachelor's students, given the importance of the subject to them. 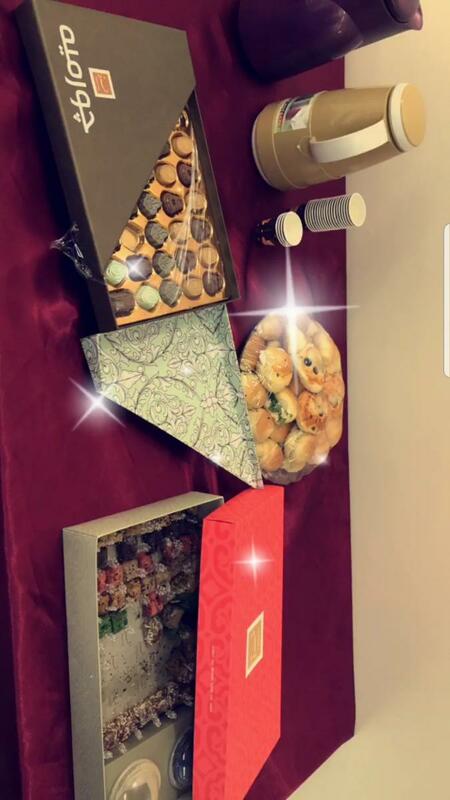 The attendants' inquiries were duly answered, and Dr. Huwaida Al-Lihaibi, the representative of "Osol" Society, concluded the course by thanking Dr. Nadia Hashim Al-Lahiani and commending her much appreciated efforts in presenting the course.